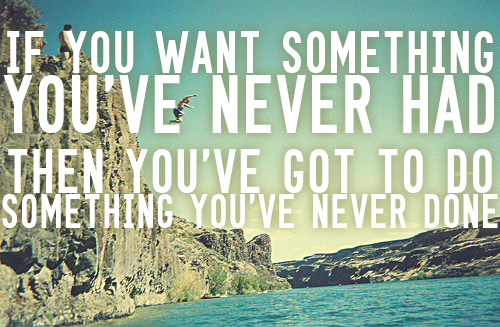 Want Something You’ve Never Had Before? What could you do that you’ve never done before? Think a different thought – simple but have you done this lately? Take that class you really wanted to but wasn’t the “sensible option”. Look for possibilities – they are waiting for you to uncover them! Why not share your experience and suggestions in the comments?